Click on any wind turbine technology to read more about it. To study detailed technical constraints in design of these wind mills based on Aerodynamic, Electrical, Transmission, Control and Safety designs, click here. On-Shore: Mountains and hilly areas have been the original choice to setup these farms. Individual wind turbines at these farms contribute towards power generation of 100 MW or more. The land occupied by the wind parks are often used for agriculture or animal grazing. Denmark, Spain and Portugal are some of the leading countries in the onshore wind farm electricity production. Offshore wind farms are the results of revolutionary technology that has encouraged man to set up wind energy harvesting farms on the water surface. Apart from oceans, lakes also act as sites for the installation of wind parks. 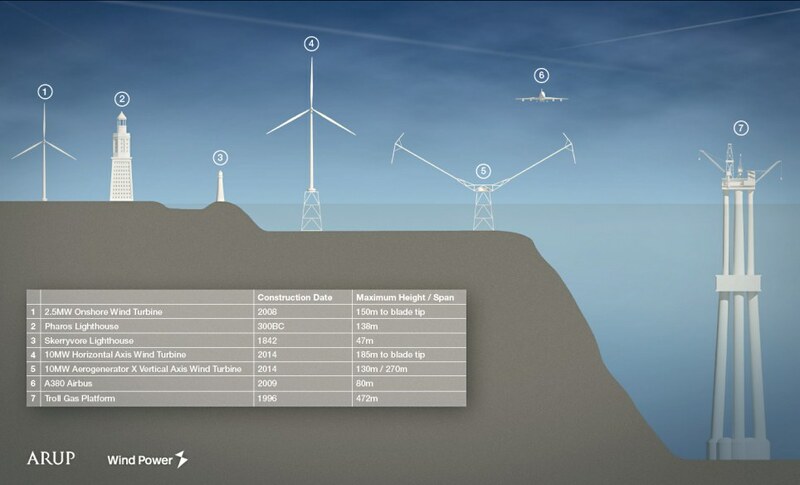 An advantage of offshore wind farm is that it makes use of powerful winds blowing over the water surface. Moreover, it is easy to transport huge parts of a wind turbine to the offshore sites using big ships and vessels. Some of the other advantages of these farms include mitigation of noise due to distance from land and higher capacity factors. The United Kingdom is the nation that leads in electricity generation using offshore wind parks. Denmark, Sweden and Netherlands are other countries that follow. 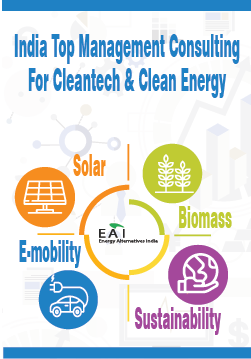 MNRE is planning to set up two pilot projects in Gujarat and Tamilnadu to estimate potentials in these states. 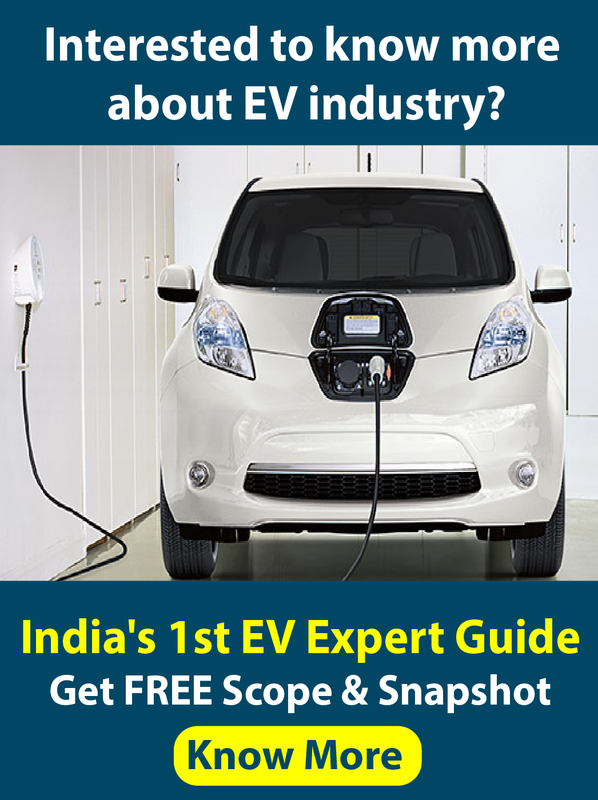 Although India has a coastline stretching more than 7,500 kilometers (4,660 miles), research hasn’t shown locations with sufficient wind for offshore turbines, according to the World Energy Council. The survey is important as India doesn’t have good data on offshore wind speeds and their variability, which developers need before they make investments. It will help in getting reliable data to reduce their risk. Suzlon Energy Limited, active in off shore wind in Germany, Belgium and Netherlands, has preliminary estimates showing the South Asian nation may have the potential to produce 25,000 megawatts of power from wind farms at sea, especially in areas off Tamil Nadu and Gujarat. It is also planning to come up with an off-shore wind Energy project near Kutchchh area. The company is also studying 9 different sites in the state of Gujarat. The copany also plans to set up off-shore farms 20km from the Tamil Nadu coast. It is believed that once TEDA gets approval from MNRE to set up off-shore wind farms along its coastal belts, each unit installed can have a potential of about 500-700MW. Centre for Wind Energy Technology is already carrying out a detailed study to assess the potential of off-shore wind energy. A near-shore wind farm is the third type of farms used for harvesting wind power. As suggested by its name, a near-shore wind farm is installed near the shore, thus making use of land and see breezes to turn the turbines. In future, you might come across air-borne wind farms, with wind turbines requiring no towers for installation. The tall tower base allows access to stronger wind in sites with wind shear. In some wind shear sites, every ten meters up the wind speed can increase by 20% and the power output by 34%. High efficiency, since the blades always move perpendicularly to the wind, receiving power through the whole rotation. In contrast, all vertical axis wind turbines, and most proposed airborne wind turbine designs, involve various types of reciprocating actions, requiring airfoil surfaces to backtrack against the wind for part of the cycle. Backtracking against the wind leads to inherently lower efficiency. Massive tower construction is required to support the heavy blades, gearbox, generator and an additional yaw control mechanism to turn the blades toward the wind. Downwind variants suffer from fatigue and structural failure caused by turbulence when a blade passes through the tower's wind shadow (for this reason, the majority of HAWTs use an upwind design, with the rotor facing the wind in front of the tower). HAWTs generally require a braking or yawing device in high winds to stop the turbine from spinning and destroying or damaging itself. Darrieus wind turbine: "Eggbeater" turbines, or Darrieus turbines, were named after the French inventor, Georges Darrieus. They have good efficiency, but produce large torque ripple and cyclical stress on the tower, which contributes to poor reliability. They also generally require some external power source, or an additional Savonius rotor to start turning, because the starting torque is very low. The torque ripple is reduced by using three or more blades which results in greater solidity of the rotor. Solidity is measured by blade area divided by the rotor area. Newer Darrieus type turbines are not held up by guy-wires but have an external superstructure connected to the top bearing. Giromill: It is a subtype of Darrieus turbine with straight, as opposed to curved, blades. The cycloturbine variety has variable pitch to reduce the torque pulsation and is self-starting. The advantages of variable pitch are: high starting torque; a wide, relatively flat torque curve; a lower blade speed ratio; a higher coefficient of performance; more efficient operation in turbulent winds; and a lower blade speed ratio which lowers blade bending stresses. Straight, V, or curved blades may be used. Savonius wind turbine: These are drag-type devices with two (or more) scoops that are used in anemometers, Flettner vents (commonly seen on bus and van roofs), and in some high-reliability low-efficiency power turbines. They are always self-starting if there are at least three scoops. No yaw mechanism is needed because they have lower wind startup speeds than the typical the HAWTs. VAWTs situated close to the ground can take advantage of locations where rooftops, mesas, hilltops, ridgelines, and passes funnel the wind and increase wind velocity. Most VAWTs have an average decreased efficiency from a common HAWT, mainly because of the additional drag that they have as their blades rotate into the wind. Having rotors located close to the ground where wind speeds are lower due and do not take advantage of higher wind speeds above. May be sized to a load. Typically used when there is a large electrical load. What's better? WAWT or HAWT?